Why be efficient at something that does not need to be done in the first place? The answer is often: “we have always done it that way.” At the beginning of my funeral service career, I used to work with funeral home owners on their product displays, how to present the products, merchandising, etc. Beyond that, I had absolutely no experience of funeral home operations, processes and costs. I often posed a question; “if a family did not buy a casket or vault, how much profit would you net from services alone?” The reason I wanted to know was if there was a deficit, then the pricing of the casket and vault needed to be proportionate to the profit margin of services (or lack thereof). Alan Creedy (www.funeralhomeconsulting.org) wrote a fantastic piece recently and referenced declining profits. By taking your total funeral home revenue (minus cash advances) and divide that number by your total number of calls over a three year span, comparing year over year, Alan would bet that the overall average revenue per call has declined. 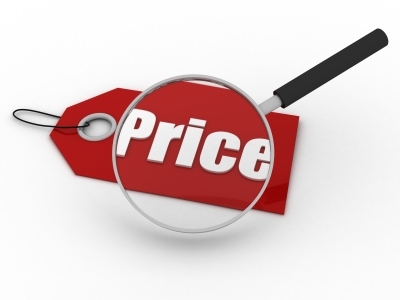 This is the time of year when many funeral homes update their GPL’s and product pricing. Does your firm perform the serious work of evaluating every aspect of operations, overheads, cost of goods to retail price, and revenue generated per director, etc? If you use Alan’s suggestion, conduct realistic evaluations and compare, the exercise should reveal the necessary changes that need to be made for profitability and viability of your business. Then the real hard work begins of implementation, training staff and measuring the results. Now as a funeral home owner/partner, I can’t fathom any other way doing business. Running shoes; for fashion, comfort or intended use? On any given day you can find someone wearing a pair of running shoes. I suppose that I would like to clarify that since the athletic shoe market is so broad and specialized, the shoes I am describing are those that are manufactured for the wearer to actually use them to run (exercise). My thoughts are how many people actually use the running shoes for their manufactured purpose? There are those that wear running shoes as a fashion statement; although I personally think by doing so the wearer has no sense fashion whatsoever, especially if worn with jeans. There are those that wear running shoes because they are comfortable. Of course, but the shoes were made to be comfortable while actually running. What I find hilarious is many that wear running shoes in both these categories can’t or don’t run anywhere. Finally, there are those that wear their “professional shoes” for the intended use…actual “professionally working out,” doing what fashionable and comfort could not fathom accomplishing. Similar to the general populace, the funeral industry profession has “fashionable, comfort and intended use” wearers. So take a minute to look down at your shoes, or in your closet; and use the analogy to self identify your type of shoes…do you wear your “funeral professional shoes” for fashion, comfort or intended use? Outside the comfort zone…innovation; continued. I am continuing a blog I wrote earlier this week on the subject matter of stepping out from a comfort zone and into a space where innovation is created. The intent of the written thoughts are to generate discussion about others that have “stepped out” in the funeral industry to innovate, and explore the results of their efforts. There has been good feedback about this topic and I solicit your thoughts. Refreshing the point, I am blessed to travel extensively and meet many funeral industry professionals, both licensed and not. A definition of innovate is “improve something with a new idea or procedure, or produce a product using a new or better way.” This actually defines G2 Funeral Group www.g2funeralgroup.com and their truly innovative brand of funeral service utilizing a proprietary operating platform. G2 Funeral Group developed, owns and manages the Family Choice Funerals & Cremations brand of funeral homes www.familychoicefunerals.com . What’s unique about Family Choice is the brand was created from scratch utilizing Lean/Six Sigma principles for every aspect of its operations, named TouchPoints. Family Choice opened its first location January 2010 in Roanoke Virginia and it’s second in Virginia Beach May of 2010. The distance between the two locations is 4 hours…purposely to prove the TouchPoints operating platform. Serving over 280 families a year, the brand has gained consumer acceptance, recognition and loyalty in a very short time period. Unequivocally, one of the best franchises in the United States is Chic-Fil-A. Their operating platform, training and culture, the service and product is the same from each location…always ending with “my pleasure.” So why do funeral homes with multiple locations under the same name/brand have such operational differences from each location? If a large firm has multiple funeral directors, why is there such a disparity of outcome in arrangements? G2 has perfected the process with TouchPoints by each location functioning operationally the same making management simpler, training as a daily part of the culture, the proprietary arrangements provide that every family receives the same information, and that the entire process can be duplicated…anywhere. The Family Choice brand is now working with funeral homes that want to expand in their own or other markets in a quasi “franchise” type operational agreement, with the first new location opening in early 2014. Recently featured in The Funeral Business advisor, the G2 Funeral Group CEO Steve Zittle has received multiple requests for development from across the US. For more information about the innovative brand of funeral service and the TouchPoints operating platform, email SteveZ@g2funeralgroup.com and initiate a conversation about this exciting innovation. “Life Begins at the End of Your Comfort Zone”~Neale Donald Walsch. This quote recently caused me to ponder where exactly my professional comfort zone boundaries are, and what would happen if I ventured out beyond those limits. More importantly, if I’m outside my “space of comfort”, what could I accomplish versus staying inside the “safe zone.” Is outside the comfort zone the place where creativity, ideas and true innovation are born? We don’t have to look far to find a long list of success stories and examples of people who ventured out of perceived comfort zones; Richard Branson, Henry Ford, Thomas Edison, Christopher Columbus, The Wright Brothers, etc. These people and countless others didn’t jump off the deep end, take blind risks or ridiculous gambles just for the sake of being different. They made calculated decisions knowing that failure, ridicule and continuous adjustments were part of the process to create their vision. But the common thread among successful entrepreneurs is their passionate belief of possible, when others just see impossible. In the funeral industry, moving beyond the predictable routines that we are accustomed is not exactly commonplace…basically we are generally slow to change, much less accept and adopt something new. I saw a definition of innovate; “improve something with a new idea or procedure; or produce a product using a new and better way.” So, with this definition in mind, what is innovative in our industry? I am blessed to be in position to travel, meet and be exposed to some really interesting funeral professionals. Some are licensed funeral directors and some are not, but the commonality is they all have a vision of making our industry better. So in the next few weeks through this blog I would like to share some of the people, products and ideas that I think are fantastic. Most interestingly, none were showcased or even had a booth at the recent NFDA Convention in Austin. However in my opinion, we’ll be seeing more of them in the near future…these are people with passion who stepped out of their comfort zone to innovate (see the definition above) in the funeral industry. Last week I had the pleasure of meeting with Mike Squires, CFSP, Funeral Director and Editor of Southern Calls (www.southerncalls.com), a new funeral industry magazine. 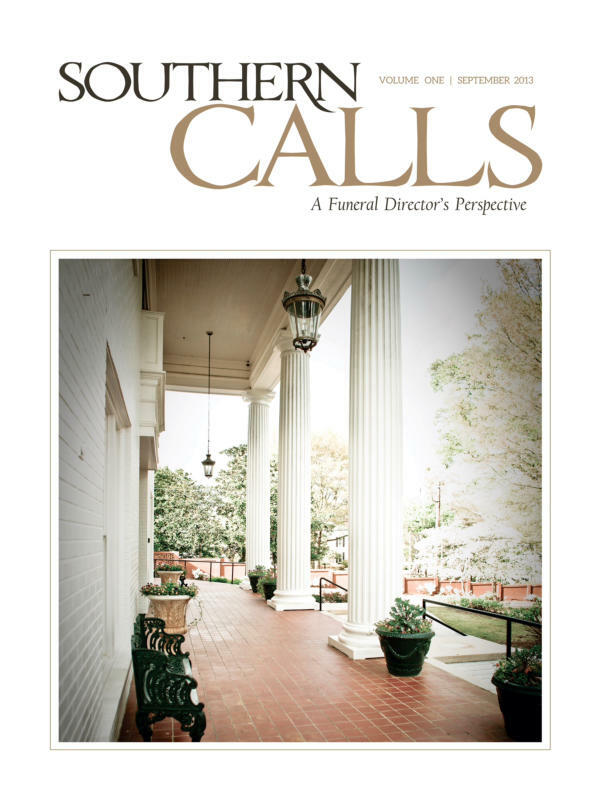 The editorial content of Southern Calls embraces the rich heritage of funeral service in the South featuring compelling stories and striking pictorial content of the region’s People, Places and Passions. What makes Southern Calls more unique beyond the beautiful photos, well written stories, and the obvious well-developed publication, is passion. Mike’s passion for our profession bleeds through each page and in colorful display for the world to see. Southern Calls is innovative, a Garden & Gun for the funeral industry…visit their website, take a look, and get a copy. You’ll be glad you did. On the eve of the 11th day of the 11th month which we celebrate the service of our Veterans, I want to provide a few personal thoughts. We get caught up with our daily lives and what matters most to us personally, rarely thinking of the freedoms provided to us by the sacrifice of others. Generations of Veterans have created the life we as Americans enjoy, but rarely do we give thanks for what we most take for granted. So when you see a Veteran wearing his medals or saluting the flag at a ceremony, offer your gratitude. Veterans gave something bigger than themselves; a willingness to die for their Country. I am blessed to come from a family with generations of Veterans including my father and my son that is currently serving. 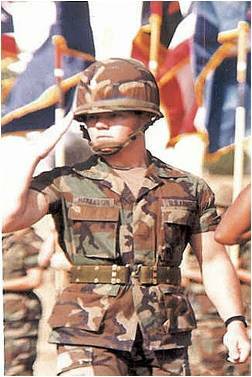 I offer my personal salute to those Veterans that served before, alongside, and after me. Remember, freedom isn’t free. GPL Price vs. What is Collected: Is there a Gap? Credit Card, Check, Cash (a combination of, and NO life insurance): For every case that payment was made with credit card, check, or cash and no life insurance; what is the current GPL price for goods and services rendered compared with the payment collected? (no cash advances)? When this particular review is conducted, in most cases, the owner gets an eye opener of how much revenue is not collected. I have personally seen hundreds of thousands of dollars in discounts which are categorized as “family appreciation, veteran, special needs, charity, pre-need, etc.” There are a myriad of reasons for discounts; from competitive (match the other firm), actual need, the family only having $X, to “friends, church, etc.” I am not advocating nor suggesting there is not a place for such in our business. The point here is for owners and managers to know the exact the amount of those dollars that are not being recovered. As a funeral home owner or manager paying attention to the rise of cremation, rise of cost of goods, rise in cost of overhead operating expenses and competition for the customer the question should beg to be asked: Is our firm recovering the maximum amount of revenue per call necessary to not only stay financially stable, but to grow? Does Your Team Have A Head Coach? Its football season…and football is played with energy and passion. Coaches lead their teams by motivating and encouraging their player’s that every snap is an opportunity to change the outcome of the game. As legendary head coach Paul “Bear” Bryant said: “It’s not the will to win that matters—everyone has that. It’s the will to prepare to win that matters.” So do you have a head coach at your funeral home preparing your team to win? The head coach at a funeral home should be the leader that demands excellence and leads by example. The head coach provides his funeral home team with relevant training, coaching new techniques or initiatives, and holds the team accountable to established standards. With a constant focus seeking improvement, the head coach motivates his team to perform beyond their normal capabilities…to leave nothing on the field. 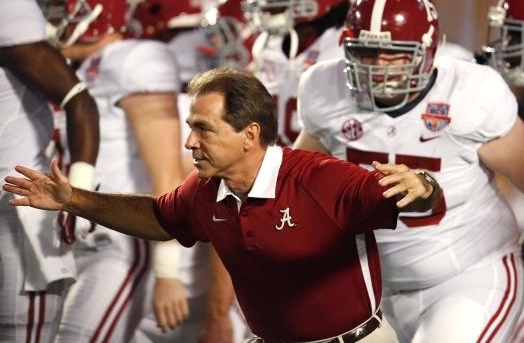 A current example of a great head coach is at the University of Alabama, Nick Saban. There is no doubt that his players are prepared, coached, and there is an expectation to follow the game plan…his team consistently produces positive performances. So which of these analogies sound familiar at your funeral home? What type of training and coaching is being regularly conducted at your funeral home? Are there new techniques, products or initiatives regularly introduced for better performance, profit and family satisfaction? Is your firm’s “head coach” teaching, leading and setting the example…is your team simply going through the motions, waiting for time to pass and not making any effort for continuous improvement or is your team leaving nothing on the field?